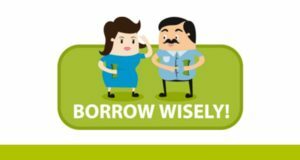 In October, we’re kicking off our third annual Borrow Wisely Campaign! This year, 21 leading financial institutions will work across 15 countries in Europe and Central Asia to improve clients’ financial literacy knowledge and skills. 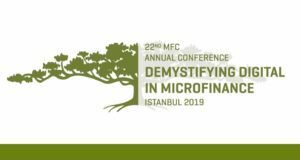 The Campaign has become an annual event for MFC and its members. 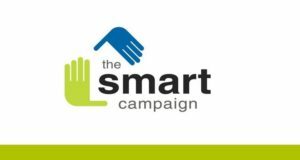 What’s the Campaign all about? As with previous years, we’ll be delivering key messages around how to borrow safely, how to harness the potential power of loans and how to avoid the pitfalls of too much debt. We’ll use posters, leaflets, seminars and brochures to do so – and also leverage our outreach through SMS, social media, websites, and local media. For the first time our partners will be also using short videos to strengthen the effectiveness of our educational efforts. Why is this Campaign significant? As an industry, our future depends on our ability to lend responsibly, and to protect against client over-indebtedness in line with international standards. The other important half of the “client protection equation” is responsible borrowing – that is, making sure that clients know how to use debt safely. Last year, we reached 300,888 clients in just 1 month! That’s why we firmly believe that this Campaign is a great tool for reaching massive numbers of clients with targeted financial education messages. This year, our Campaign partners are: Farm Credit, Nor Horizon, ECLOF, Finca, and Ucora (Armenia), AzerCredit (Azerbaijan), EKI, Lider, MiBospo, and Partner (Bosnia and Herzegovina), SIS Credit (Bulgaria), Adie (France), Crystal (Georgia), Kepa (Greece), AFK (Kosovo), Horizonti (Macedonia), Microinvest (Moldova), AgroInvest (Serbia and Montenegro), Vitas (Romania), Hope, Ukraine and Imon (Tajikistan). Why our partners participate in the campaign? “We love to see that both clients and loan officers are thinking about loans, asking more questions, looking for details. They are more responsible, and we want to keep ourselves on that road…” Dragana Lukic, Marketing Manager (Mi-Bospo, BiH). “This campaign is a good opportunity to increase awareness, and alert our customers to the risk of credit, not just the opportunity.” Sébastien L’Aot, Operation Director (Adie, France). Want to stay abreast of all the news from the 2016 Campaign? Contact Kinga Dabrowska today to join our mailing list, or to discuss how you can get involved next year!